Junk Car Medics will give you a good price for your junker…but we’re not in a hurry! If you’ve got a decent car, by all means, keep it that way. Regular maintenance and repair will help keep your vehicle healthy and on the road, such as these car maintenance tips. With a little knowledge, you can even do some of the work yourself. Even though we’d love to hear from you, we’re going to offer some suggestions to put it off a bit. Here are five books about car maintenance that can teach you how to personally care for your vehicle. Do what you can to keep your wheels up and running a long, long time. No, the author doesn’t really think you’re stupid; that’s just the catchphrase for this series of instructional books. The text opens with general automobile information and a year-round preventative maintenance schedule, including tune-ups and oil changes. Then come sections for every system within a car. Each chapter contains maintenance and repair information. 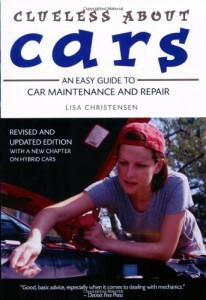 Also, following the book’s recommended driving tips may help reduce vehicle care costs. Troubleshooting guidelines helps you determine which issues you can deal with, and which you’ll need to hand over to your local repair shop. You can order this book now here. 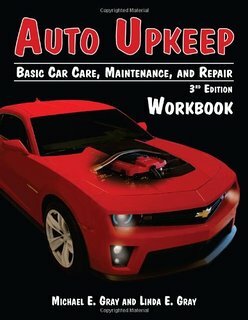 This full-color book provides basic information about vehicle care. The text opens by explaining how cars work. Next, you learn how to buy a car and purchase insurance. The authors walk you through the different systems and explain fundamental maintenance and repair tasks. Chapters also have web links with additional material. Troubleshooting hints help you identify the source of a problem. Other tips delve into topics more deeply, such as how to purchase tires or what to do if the oil warning light pops on. In addition, there is information about alternative fuel vehicles and automobile accessories. The final chapter describes common problems and discusses how to handle roadside emergencies. If you’re super-dedicated, you can also buy a companion workbook featuring web-based and hands-on activities. This book begins by walking you through all the systems of your car, from the engine to the tires. Then it moves on to preventative maintenance, including replacing filters and doing tune-ups. Discover how to diagnose problems that crop up, such as strange noises and abnormal vibrations. Find out how to discuss these issues with your mechanic…but don’t stop there. Learn more do-it-yourself techniques, from checking tire pressure to changing the oil. You’ll also learn how to handle –- and perhaps prevent –- roadside emergencies. The book winds down with information about keeping your car environmentally friendly. Finally, discover tips about buying both new and used cars. That’s a big promise. 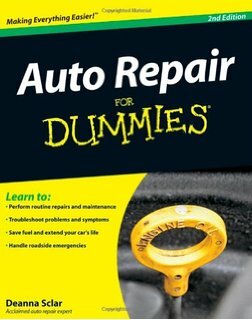 The book’s subtitle is a bit more realistic: “Avoid Expensive Repairs, Improve Fuel Economy, Understand Your Warranty, Save Money.” Sounds good. 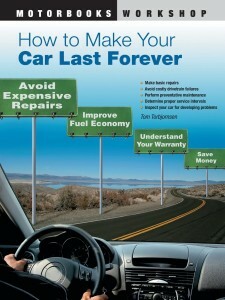 The book emphasizes preventative maintenance that both keeps your car going and protects its resale value. It looks at cars’ systems in terms of keeping them going. Learn techniques for both interior and exterior maintenance. See what seasonal challenges await your car and what can be done to avoid them. Find out how to accurately read a warranty so you don’t face any nasty surprises. Finally, read about the worst things that can happen to a car…then don’t do them! Haynes offers manuals for specific makes, models, and years, so you can understand your very own car, not cars in general. First, you’ll find out how to do basic maintenance and tune-ups. If you’re up for the challenge, continuing reading to explore your engine, electrical system, brakes, body…pretty much everything from headlight to taillight. Photos accompany step-by-step instructions. You’ll discover shortcuts and learn to troubleshoot. Even if you don’t want to take on repair work yourself, after finishing the book you’ll have more background knowledge to discuss problems with your local shop. You can order them now here.